How do you convince your parents to buy you a horse or pony? You first have to decide if it is really worth it and this isn’t just an idea, like coloring your hair pink, that you’ll get tired of when the novelty wears off. Your parents will probably remember the time you begged for a hamster, and then after a few weeks, it sat ignored on your bookshelf with a smelly cage. You have to understand that having a horse isn’t all fun; sometimes it’s dirty, frustrating, and just plain hard work. Are you sure you want a horse? Even if you are sure you want a horse you probably won’t be able to convince your parents overnight, or even in a week. It may take months for them to decide to buy you a horse. However, don’t give up. Many people have to wait until they are in their thirties, forties or even longer before they get their first horse. Convincing your parents to let you have a horse may be a long-term project. You may have to prove you are committed, and you might have to make some compromises and sacrifices. Be realistic about your situation. If you live in town, horse ownership may be more difficult than if you already live in a rural area. If your parent’s time and budget are already stretched beyond the limit, there might not be room for a horse. Discuss these things with your parents knowing that they probably don’t like saying ‘no', but sometimes they have to. What if they say, "Yes, but..."? Lucky you if they just say yes. But what if the answer is ‘yes, but…’. You might have to convince them. They’ll probably expect: that you do well in school, that you don’t ignore your other responsibilities, that you contribute financially, and that you can prove this isn’t a passing phase, and you’ll not forget about your horse a week after you get it. Whatever their expectations, make sure you have a clear understanding of what they want. (Hey, it never hurts to get things in writing!) Then fulfill those expectations. Do they expect a 70% average in school? Then work for 85%. Is it your job to put the clean dishes away—don’t give them a chance to remind you. Prove to your parents you are absolutely committed and responsible! You’ll want to show your parents that you are committed to learning all you can about horse care and safe riding too. There are lots of free resources, including this and other websites, library books and e-library books and inexpensive clinics and training you might be able to get your parents to take you to. 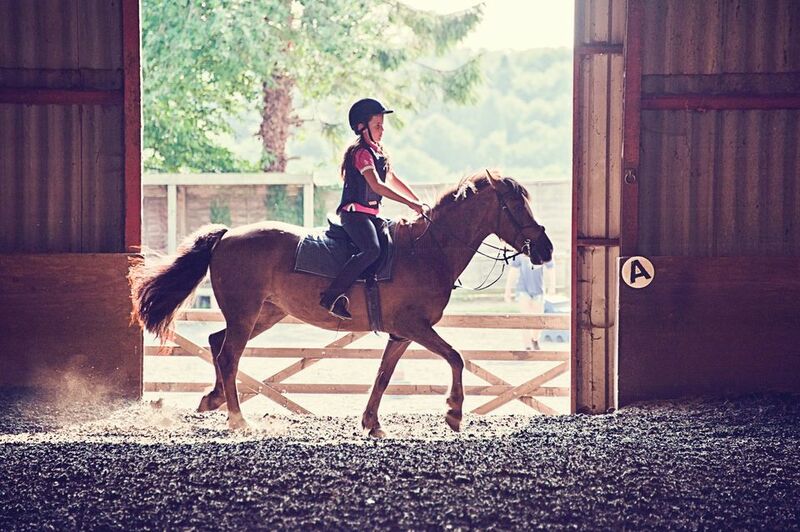 There are clubs like Pony Club or 4-H that you don’t have to own a horse to belong to. Give 110% to proving you can be a responsible and safe horse owner. Understand and try to contribute towards the cost of keeping a horse. Learn how much it costs to keep a horse. The price you pay for a horse is small compared to the upkeep. Do you know the cost of hay, veterinarian services, hoof trimming and other necessities? What if you have an emergency veterinarian bill? Can you think of ways to help pay for buying and keeping a horse? Are you willing to make sacrifices to keep your horse? Many adult horse owners will agree they have to sometimes give up new clothes or other items because their horse needs something. Are you willing to give up something you want so you can have a horse instead? Are you willing to get a job to help offset expenses? Can you think of other ideas that would get you learning about and working with horses? Once you’ve convinced your parents to let you have a horse your work isn’t over. Your job now will be to look after your horse and continue to prove to your parents that buying you a horse was a good idea.